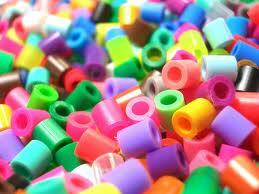 NEW YORK: The demand for specialty plastic additives in the US is forecast to rise. Studies forecast an annual demand growth of 4.5%. The rebound in US construction market is expected to boost the demand. The study finds that strongest growth is expected in processing aids and property modifiers. Plasticizers will continue to remain the largest segment. In the resin category, PVC is expected to show exceptional demand growth. Various markets especially construction sector will contribute largely to the demand growth. Almost two-thirds of the demand is expected to be from the rebounding construction sector.A huge growth is projected in the protective additive segment primarily flame retardants. The demand for flame retardants is to rise aided by their increased usage in construction products, electrical wires and cables. There will be a huge shift from halogenated flame retardants to non-halogenated alternatives. The other major sector likely to witness robust demand is the range of heat stabilizer products. Among the property modifiers, impact modifiers represent the largest and fastest growing product type.This rebound will also provide immense opportunities for colorants in wood-plastic composite (WPC) lumber applications and chemical blowing agents. Moreover, increased building activity will fuel demand for processing aids such as mold releases and lubricants, as well as compatibilizers and coupling agents.Expanding opportunities for rigid PVC will propel demand for additives such as impact modifiers and lubricants. Among other resins, polyolefins are expected to offer strong growth prospects.